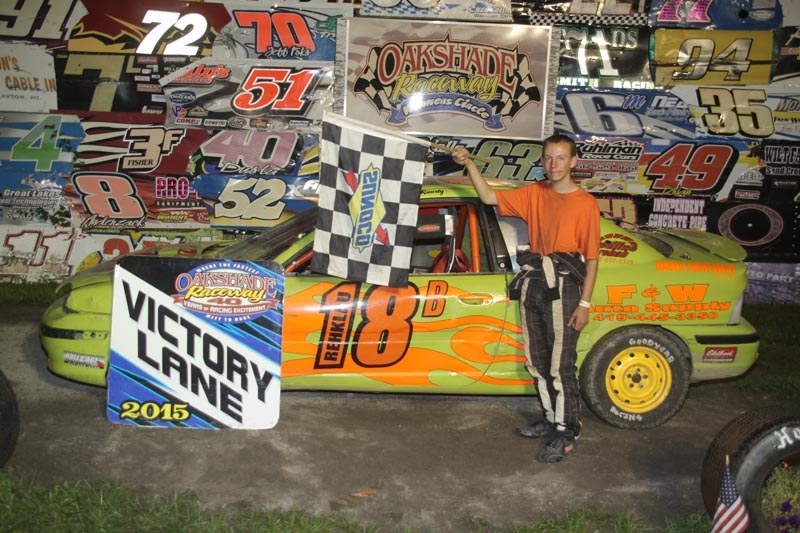 After 20 years of trying, a jubilant Brian Ruhlman finally was able to earn his first Oakshade Raceway UMP Late Model Track Championship with a feature win on Saturday night. 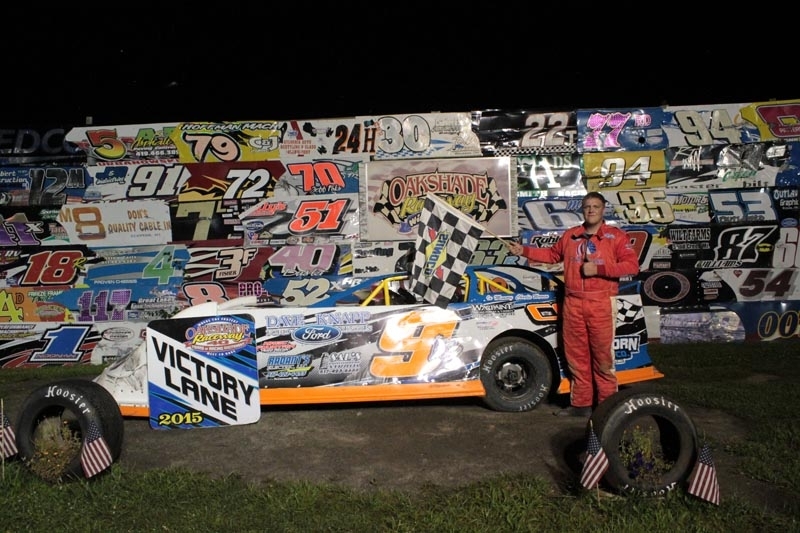 The UMP Late Model Season Championship feature race was action-packed and wasn’t decided until the very end. Steve Kester started on the pole and led most of the 25-lap race. Earlier rain showers had left the track fast and tacky. Ruhlman positioned himself in second by lap four and pursued Kester most of the race. The drivers had to battle through lapped traffic and a couple of close calls. Ruhlman was able to get a nose alongside Kester a few times, but could not complete the pass. Finally, the opportunity Ruhlman was waiting for happened as the pair worked through turn four with the white flag in sight. Kester slipped up high and both Ruhlman and Rusty Schlenk went on by. Ruhlman went on to pick up the checkered flag with Schlenk second and Kester hanging on to finish third. 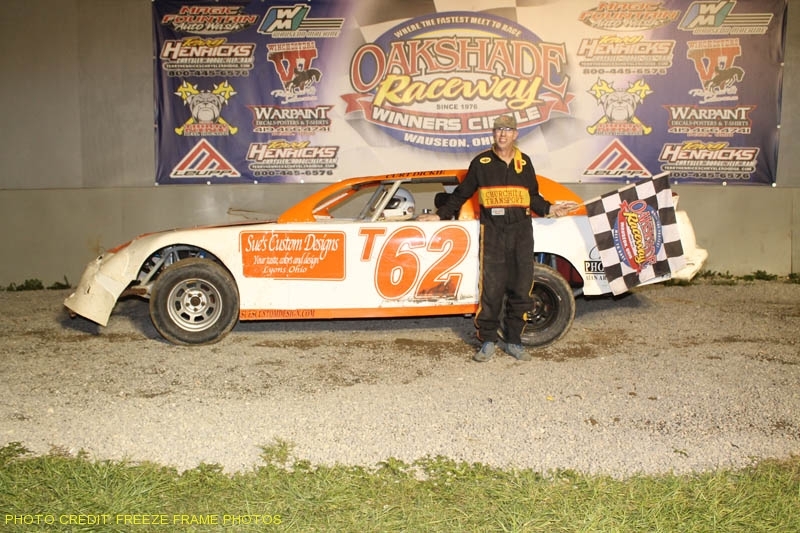 It was the sixth feature win of the year for the Clarklake, Michigan driver and unofficially locked up the 2015 UMP Late Model Oakshade Raceway Track Championship. Dusty Moore and Brad Eitniear were the rest of the top five finishers. 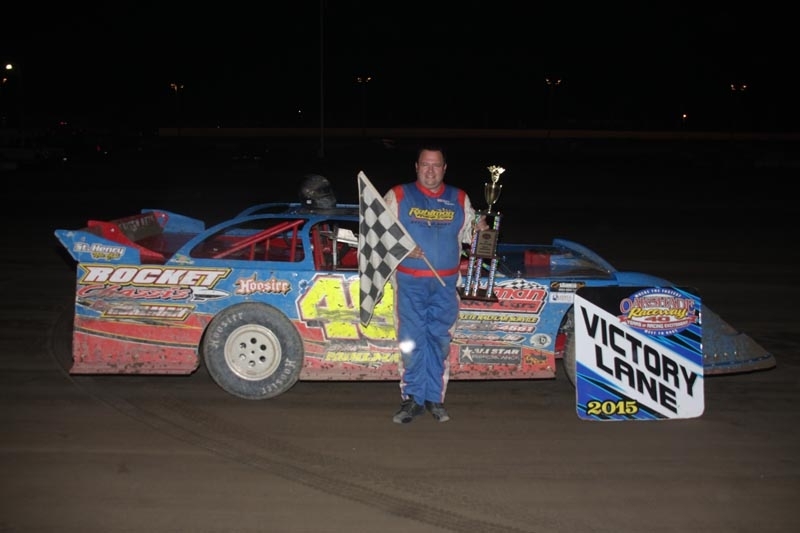 Mathew Chapman continued his incredible rookie season in the UMP Sportsman class with his fifth feature win of the year and is now tied for the Sportsman points lead with Jamie Grochowski. Chapman,out of Tecumseh, Michigan, took the lead at the start and pulled away from the rest of the field. Dan Wallace and Grochowski battled for second much of the race with Wallace coming out on top. Bruce Stuart finished third behind Grochowski and Mike Jessen and Graeme Short were the rest of the top five finishers. Rayce Price had some issues and was slow at the start of the Bomber A Main that just about stacked the field up behind him. After a complete restart, Adam Noonan, from Toledo, Ohio, jumped out to the lead leaving Scott Robertson to battle with the rest of the field for second. 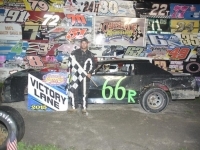 Noonan went on to pick up his first A Main victory of the season and positioned himself to within 7 points of the Bomber point lead. Tim Murphy finished second followed by Chris Henry, Gregg DeTray and Adam Lantz. 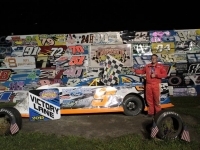 Brogan Rehklau from Waldron, Michigan earned his fifth Sport Compact feature win of the year and did so in impressive fashion. He worked the high line to get the lead and then went on unchallenged to take the checkered flag. 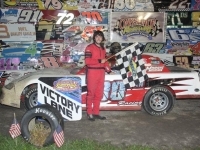 Randy Murday started on the pole and finished second. 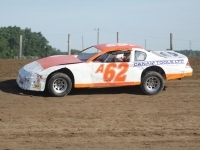 John Martis was third followed by Devin Goodman and Jeff Foks Sr.
William Cundick took the lead at the start of the Bomber B Main and led the first four laps. Cundick then suddenly slowed turning the lead and eventual race win over to Amy Clair. Roscoe Stetten passed Dylan Hough near the finish to end up second. Tim Hancock started 13th and ended up fourth with Dave McMannamy finishing fifth. 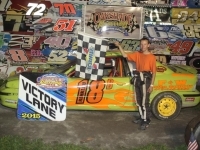 Josh McNichol darted out to a big lead in the final race of the night, the Bomber C Main. 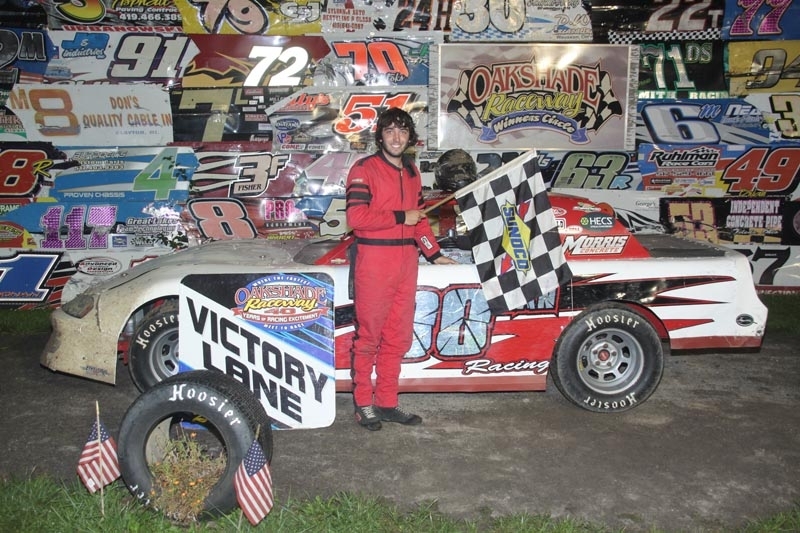 Kaleb Hinkley was running third, but his night went up in smoke on lap eight as he rolled to a stop on the front stretch. 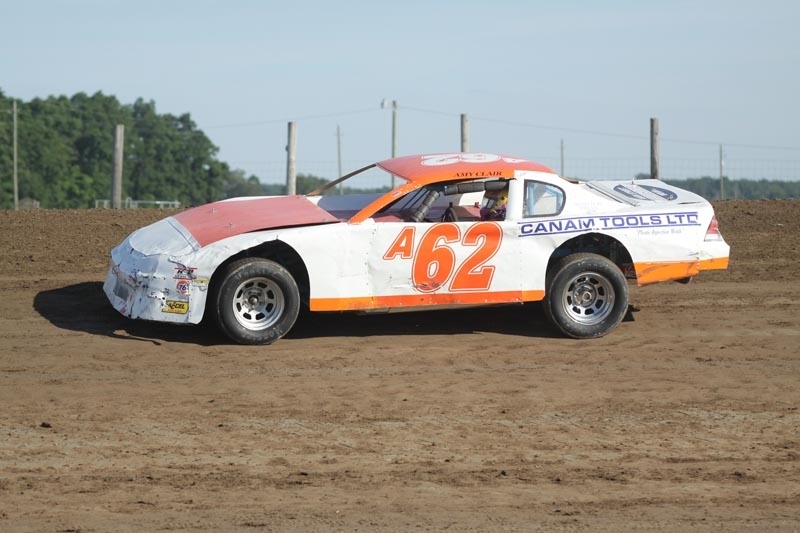 Brenem Mellon restarted in third and had his transmission come apart which locked up his rear end on the restart. 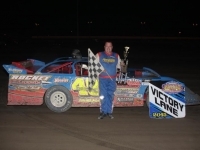 Finally, a last lap pass earned Jeff Roberston the victory over McNichol. Abby Burton, Tyson Scaife and Ryder Price survived to round out the rest of the top five finishers. 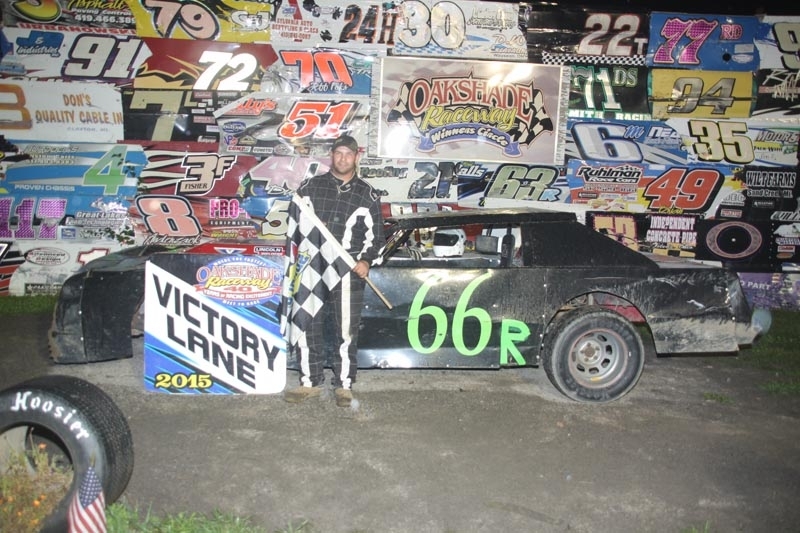 The American Late Model Series (ALMS) returns to Oakshade Raceway for the final time this year on Saturday, September 5 for a $2,000 to win show. In addition, the UMP Sportsman, Bomber and Sport Compact classes will also be in action. Gates open at 4pm with racing at 7pm.